For a medical marijuana dispensary, NE Portland patients prefer to get everything they’re looking for in one place. From high-quality buds to edibles and topicals there are some important things to look for in a dispensary. We’ve designed ours around the customer. 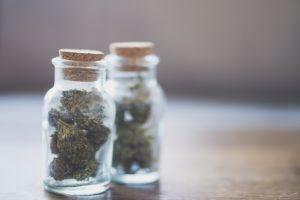 We make it easy to find what you need, compare prices, strains and cannabinoid levels, and always having an expert available to answer your questions. Make your choice an easy one, come to one of the original cannabis stores in NE Portland, come to CannaSource. Experience the Canna Source difference! Knowledgeable and friendly staff who take the time to get to know you and what you’re looking for from your medicine. 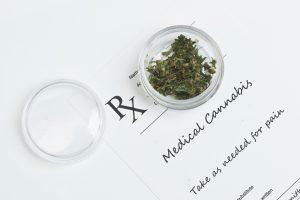 An affordable and robust selection of high quality medicinal options and delivery systems. All of our products are independently tested in accordance with Oregon State law for purity and cannabinoid content. Rotating specials for patients that may include any one of our products. Frequent product updates as companies release new indica and sativa strains and medicinal modalities. A friendly and homely environment that makes shopping and interacting with staff comfortable and relaxing. In the heart of NE Portland we’re proud to provide service to patients from the local neighborhood and beyond. From the south east corner of Rocky Butte Park to the intersection of NE Martin Luther King JR Blvd and I-5, patients seeking the best in service and selection choose us. Customers frequently cite our customer service as the reason for their return visit. That’s because we truly know our products, and we can help you find the right medicine for you. Does your dispensary know their product? Our owner and operator suffered from a life changing accident 20 years ago. Finding relief in medicinal marijuana inspired him to open our dispensary and help others. Marijuana has a number of different cannabanoids that include CBD and THC. They attach to different receptors in the brain and produce unique effects. Higher percentages of one over another can change the effects of the medication. The application method can also have a major impact on dosage. Flowers include indica, sativa, and hybrid strains. Concentrates include tinctures, oils, and more. Edibles range from candy to raw butter. Topicals range from salves to balms and lotions. We carry strong medicinals like wax and shatter. Purchase a delivery system including pipes and vapes. Contact your new favorite Medical Marijuana Dispensary in NE Portland! We’re always happy to help and we can’t wait to share our passion with you. No matter what your need, we’ve got the medicinal you’ve been looking for and knowledgeable staff to help you identify it. Call (971) 254-4374 us today with any questions or to hear about our current specials!